Smart speakers, powered by AI-driven virtual assistants, were the number one gift for the 2017 holiday season. New research released by the UK-based agency Delineate indicates that one in six UK homes and one in four U.S. homes now have a smart speaker, and a further quarter are interested in getting one. That means that roughly 31.5 million U.S. homes are now equipped with smart speakers. Not surprisingly, streaming music is the most popular use case, but people are using their smart speakers for much more than that. Asking questions, checking weather or traffic, setting timers and alarms, and making purchases are just a few examples of how people are engaging with their virtual assistants. 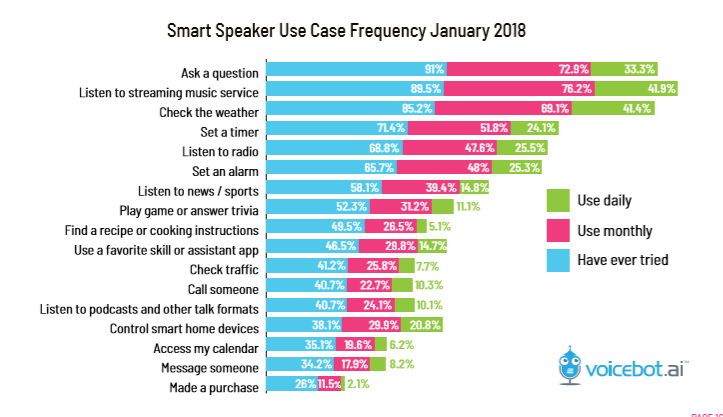 An important point for marketers to note is that when asked specifically about search, 11 percent of participants in the Delineate study said they researched a brand or product on a smart speaker, while 46 percent used traditional search methods. Clearly marketers need to get ready for the forthcoming changes in the ways audiences find information. Start Building Structured Data: Your website should use markup-like schema to clearly define what your site is about, where your business is located, and other data points that search engines crawl and analyze. Also, connect your social presence to your website using markup coding. Google’s AI wants to learn about user interaction with websites and brands and it sets scores based on how good a business is. Reputation information from social media is one way to determine this. Use a Persona to Help Develop Content: Get ready to create a voice persona. Is your assistant witty, professional, formal, helpful? You can have fun building out your personas, but be sure to stay on brand. Try saying “Ok, Google, talk to Progressive” to get an example of a voice persona. Build a Voice Map: Just like a website has a sitemap, virtual assistants powered by AI need a structured voice map. The Progressive example above starts off with a choice of home or car insurance and then walks you through tips for both, following a clear and logical path. Test and Learn: The only way to get data and trend information is to launch a voice app. That will provide insights about common searches and what opportunities you have in the voice search space. There are numerous tools available to help with the process, so you can build a prototype Alexa Skill or Facebook Messenger chatbot with relatively little expense or effort. In 2016, Google said that more than 20 percent of all mobile searches were voice. Additionally, Alpine.ai estimates that there are more than 1 billion voice searches per month. Savvy marketers should move quickly to gain an edge on the competition in this evolving space. 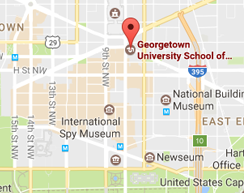 Shashi Bellamkonda is a faculty member for Georgetown’s Marketing and Communications professional certificate programs and the Chief Marketing Officer at Surefire Social. Known as the "social media swami," Bellamkonda has been featured and/or published in more than 15 books on social media.